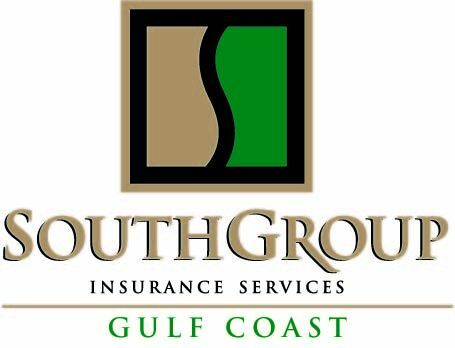 SouthGroup Gulf Coast - Your Trusted Choice: How Much Do YOU Have to Lose? Get an Umbrella! Should you go above and beyond the call of Insurance? Aside from the logical precautions of actively doing your best to avoid hurting others, it is prudent to carry liability insurance to financially assist you in the event of a claim against you. In today's litigious society, however, sometimes even if you have $500,000 in liability coverage it is not enough. How do you know if you have enough coverage? The best way to acquire this answer is to meet with your trusted insurance agent and discuss your liabilities and your assets. How much do you have to lose? As an insurance agent, I often think back to one of my favorite episodes of "Sanford and Sons" when Fred was in an auto accident and was rear ended by a rich couple in a Cadillac. His friend, Grady, quickly pointed out to him that if he has a whiplash claim he could sue the guilty party for a lot of money because they were driving a Cadillac. Of course, in the end, Fred wasn't injured and his son, Lamont, talked him out of doing such an unlawful thing, but the moral of the story is that not everyone thinks like Lamont. A Personal Umbrella Insurance Policy may be just the answer you are looking for when you've got much to lose, and someone like Grady sees an opportunity to sue you. The term "umbrella" refers to how the policy shields your assets more broadly than your primary policies. Umbrella insurance protects your assets and future income in addition to your primary insurance policies. It is not the same as excess insurance, as it only goes into effect when your underlying policies are totally exhausted. Therefore, an umbrella policy can become the primary policy on a risk in certain situations. For example, Fred makes a claim against the driver who rear ended him and has a total of $250,000 in medical expenses. The driver only has $100,000 in liability coverage on his auto insurance policy. Where will he get the additional $150,000 he is responsible for? If the driver was smart enough to have an umbrella policy, he can get financial assistance to pay Fred's medical bills from there. Without an umbrella policy, he could be in major trouble! Today, a typical Umbrella policy is sold in increments of one million dollars and can be very inexpensive ($120-$150/year if you have 1 car and a home) . It provides additional liability coverage above the limits of homeowner's, auto and boat insurance policies. Sometimes umbrella policies may provide coverage for claims which may be excluded from your primary insurance policies such as false arrest, libel, slander and more. Be sure to ask your Trusted Choice insurance Advisor about your options. Recently the New York Times financial column stated "You could face financial ruin without an Umbrella Insurance Policy". Financial advisers generally recommend umbrella insurance to any client with significant assets to protect. These days, that can be as simple as owning a home. David H. Bugen, well known Financial Adviser of Regent Atlantic Financial, says when working with client’s umbrella policies are on the forefront of discussing finances. Most clients' largest concern is "an event that's unlikely to occur, but if it occurs can disrupt your financial future forever," according to Bugen. Peter E. Lang, managing director of HighTower Advisors in New York, also finds an umbrella policy essential stating "even for some who own a home and little else of great value." An often cited appeal of umbrella insurance is that it doesn't make judgments. "The thing I find most interesting about this (umbrella insurance) is that is doesn't matter whose fault it is," says Jonathan Foster, chief executive of Angeles Wealth Management. "If someone dies in a car accident and it's your fault, it goes a long way to protect you or your family." Some may consider the chance of having such a claim too remote to make it worth buying, but actually because they are used so rarely this makes umbrella policies very reasonably priced. The average premium is about $500 for every $1 million in coverage, but some insurance companies will require you have the highest liability limits on your underlying policies which could cause a slight increase in your overall insurance expenses. The consensus among financial advisers is that clients’ liability insurance should roughly equal their net worth. Should you go above and beyond your current insurance liability limits? Meet with your Trusted Choice Agent at South Group Insurance Services to review your needs and see if a Personal Liability Umbrella Insurance Policy is right for you!